Yesterday, we celebrated Easter! It was Paisley Jean's very first Easter so that made the day really special! Unfortunately, she woke up on Sunday with a cold - it finally seems like she caught the colds that everyone else had two weeks ago despite my best efforts to keep her healthy. 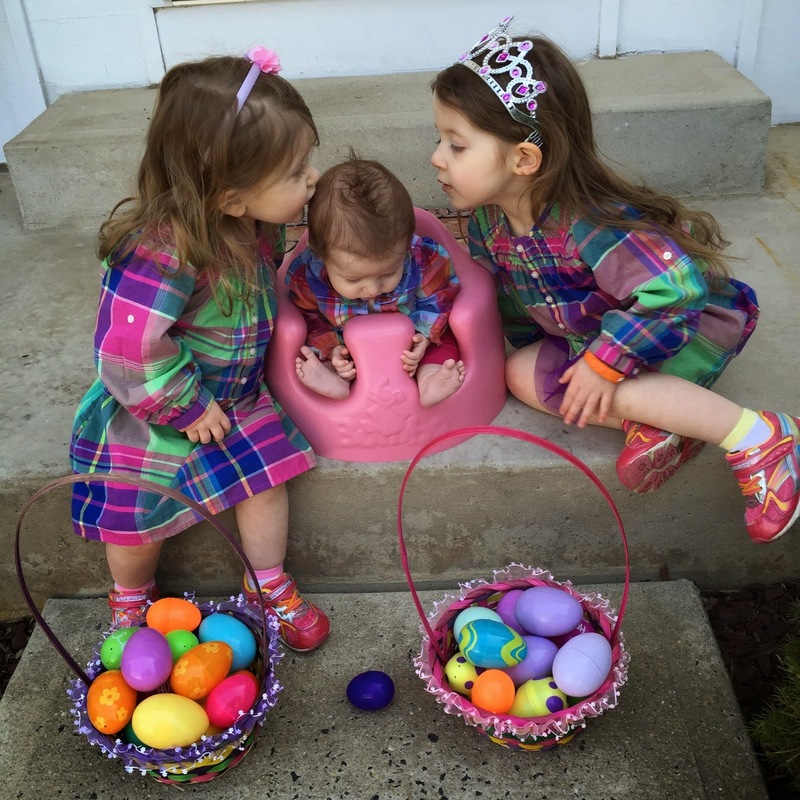 It was probably inevitable with the way her big sisters are always giving her kisses. But we still celebrated! On Saturday we went to take a picture with the Easter Bunny! Everyone sort of smiled and no one cried! 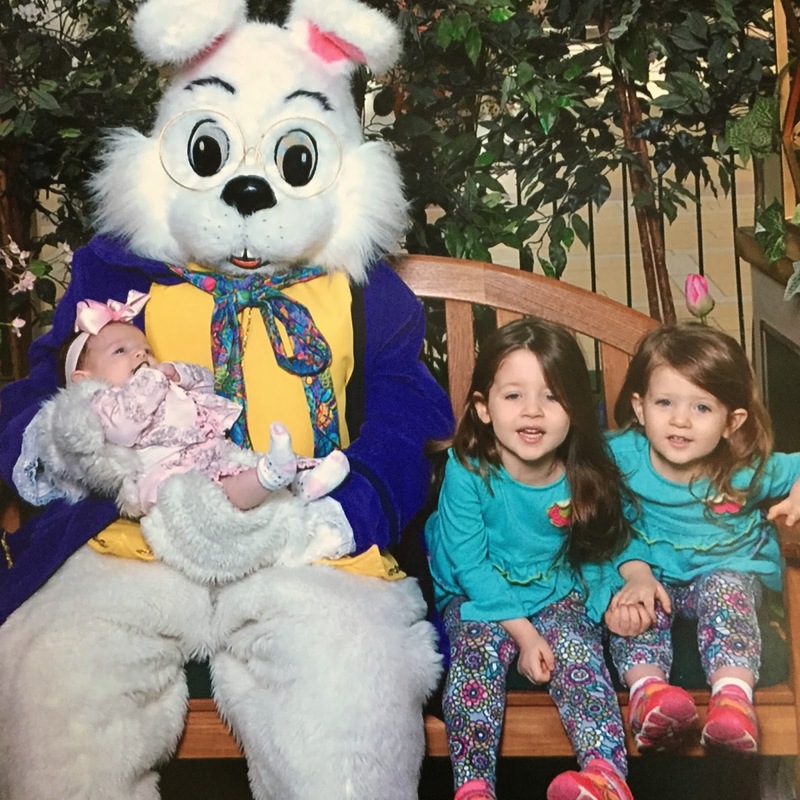 I think Lacie and Blakely were thrilled to sit over to the side of the bunny while he held Paisley! There was no way Blakely was going near that Bunny - she wouldn't even give him a high five. But she did wave to him and say "Bye Bye Easter Bunny" as we left! Lacie just did it for the Cadbury Mini Egg I promised her afterwards! Paisley was busy chewing on her shirt and didn't even notice that she was being held by a big giant bunny! Every year, I host an Easter brunch for both sides of the family! It's simple! I love hosting brunch because I can do a lot of the prep work after the kids have gone to bed the night before and finish up anything in the morning before they wake up! Everyone comes over at 9am and we eat breakfast! Then, we go outside for an egg hunt. 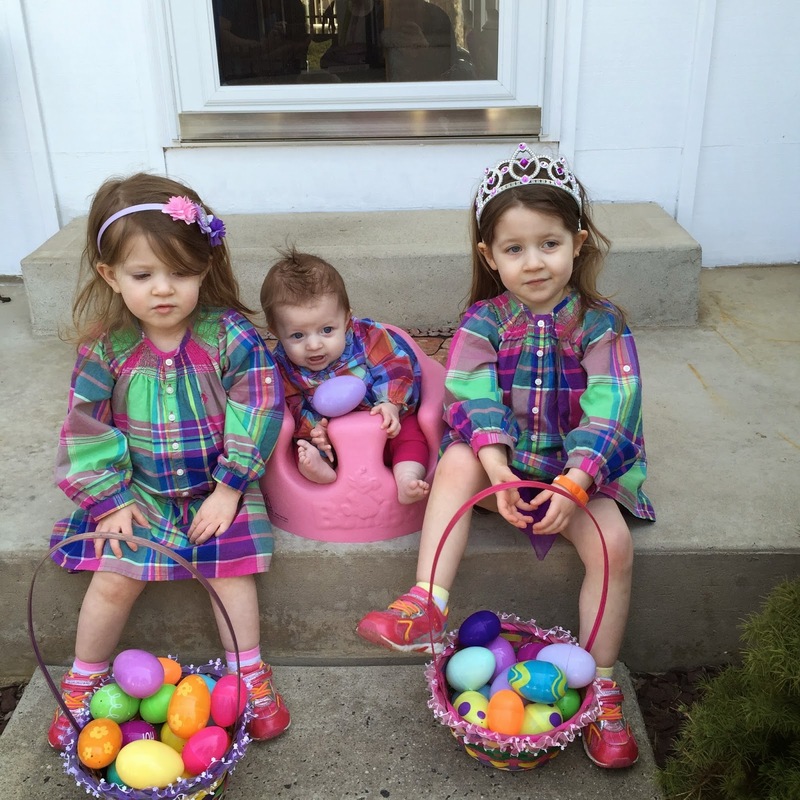 The girls got tons of candy, toys, and new clothes from the Easter Bunny! 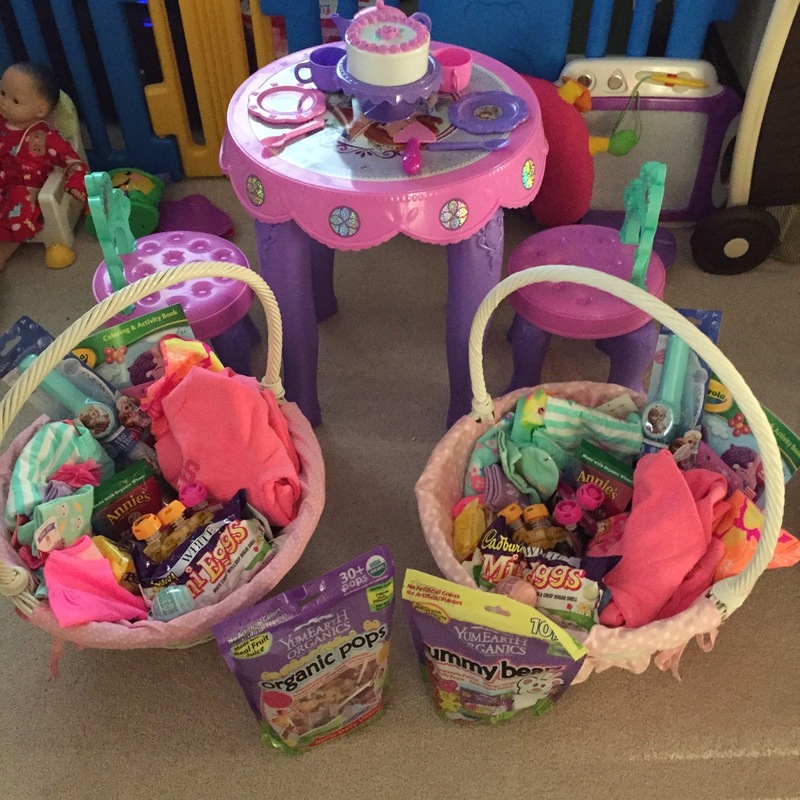 I won't show you Paisley's basket because it was pretty sad...next year it will have lots more in it! 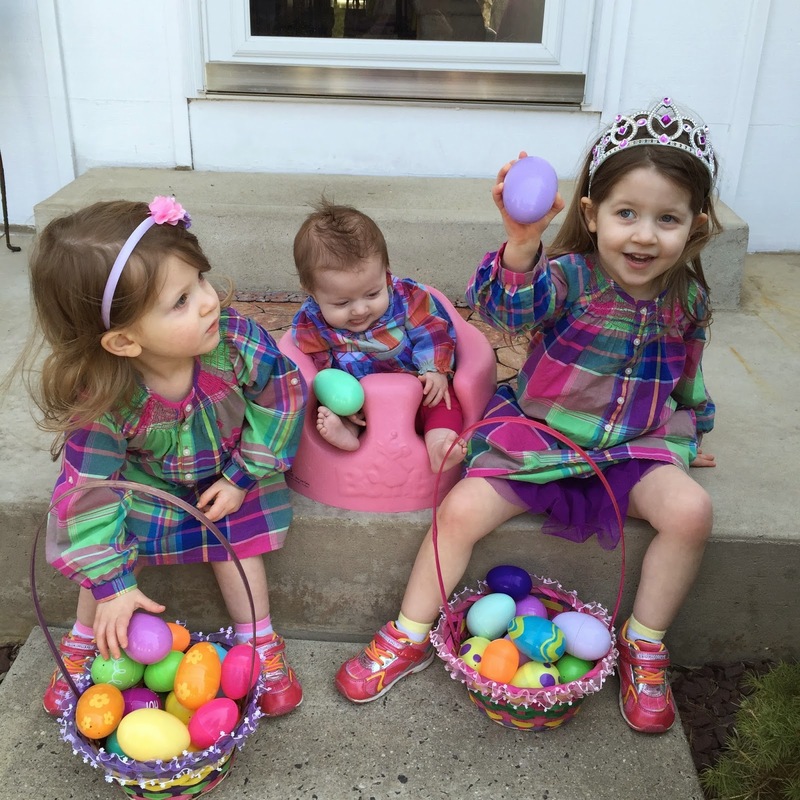 Trying to get a picture of all three girls proved impossible! Paisley is 4 months and I still don't have a picture where all three are looking and smiling at the same time! If you want to check out last years Easter celebration you can check it out here! Last Easter was also when I told John that we would be adding Baby #3 to our family! So it was a really special day! 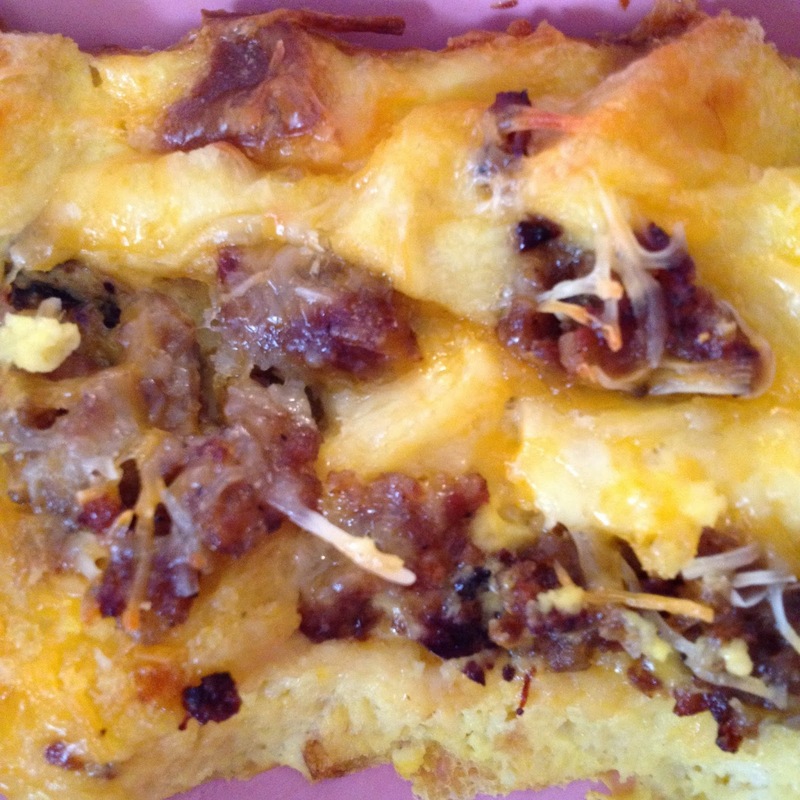 I make two overnight casseroles for the brunch! One that is sweet and one that is savory! 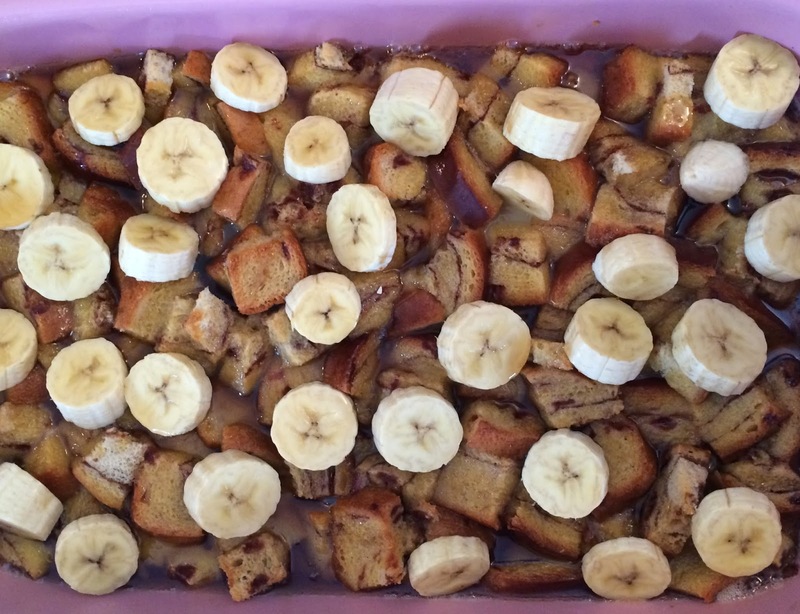 I also made two new desserts that I will be blogging about later this week!